The Low Income Home Energy Assistance Program (LIHEAP) is a federally funded program that helps low income households with their home energy bills. The program provides a one-time benefit to eligible households to assist with home energy heating costs. The amount of the benefit is determined by household income, household size, fuel type, and geographic location. Assistance is applied directly to heating or electric bills. The amount of the benefit is determined by household income, household size, fuel type, and geographic location. Applications for heating assistance are accepted November 1 through May 15 of each year. Applications from those who are legally disabled or age 60 or older, will be processed beginning November 1. All other applications will be processed December 1. Have an annual household income that is 150% or below the Federal poverty level. Displacement by natural disaster, domestic violence, or family reunification. Applications for Heating Assistance are accepted November 1 through May 15th of each year. If you are legally disabled or age 60 or older, we will accept your application November 1st. All other applications will begin processing on December 1st. How do I know if I will receive Heating Assistance from a tribal organization? 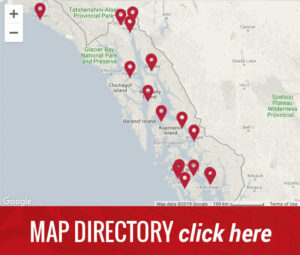 For a list of communities served by tribal organizations go to the State HAP Website HERE or contact your local tribal organization or the Heating Assistance office. It can delay your benefits if you apply with the wrong organization. Tlingit Haida Regional Housing Authority’s mission is to connect Southeast Alaskans with sustainable housing opportunities and innovative financial solutions. Take Our Ten Minute Tribal Citizen Housing Survey & Earn a Chance to Win 50,000 Airline Miles or a $200 Cash Card.Click Here to Start!